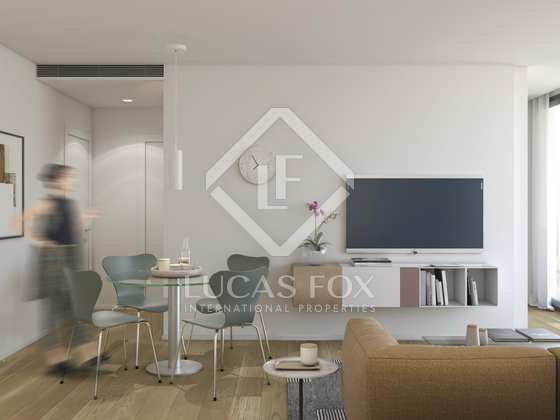 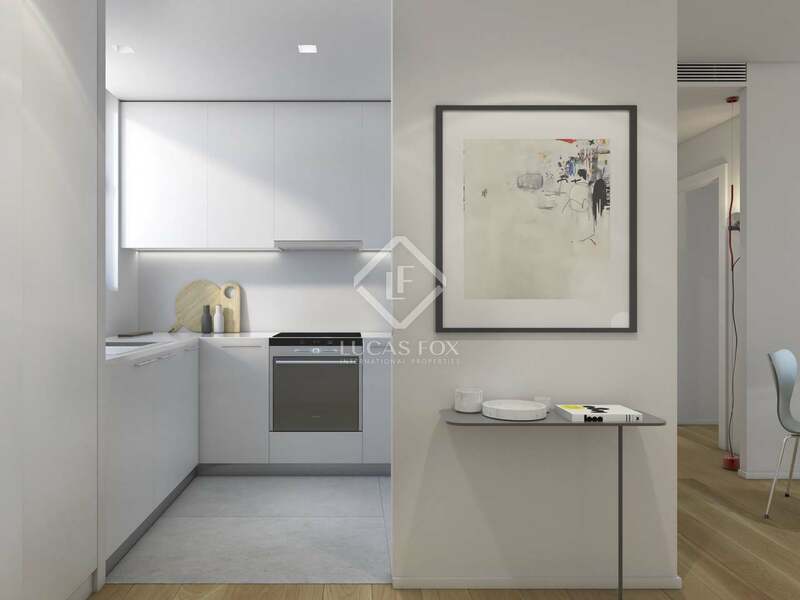 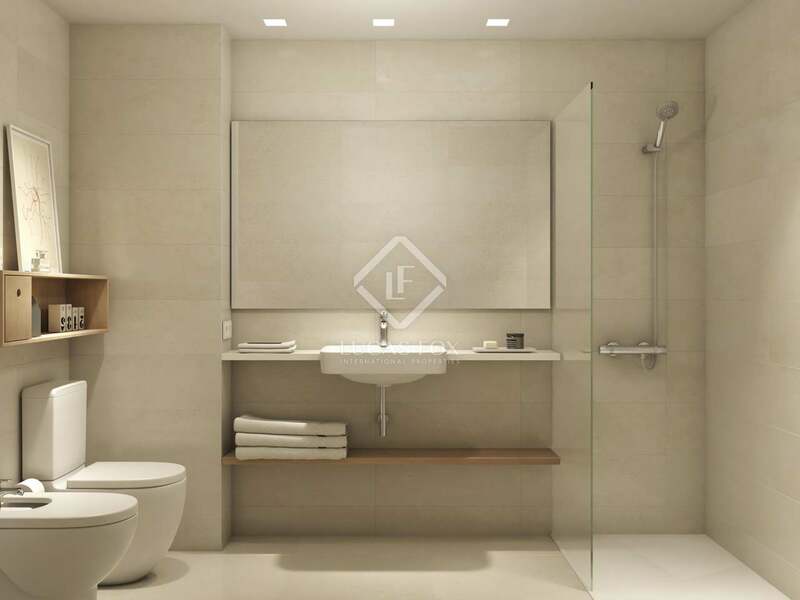 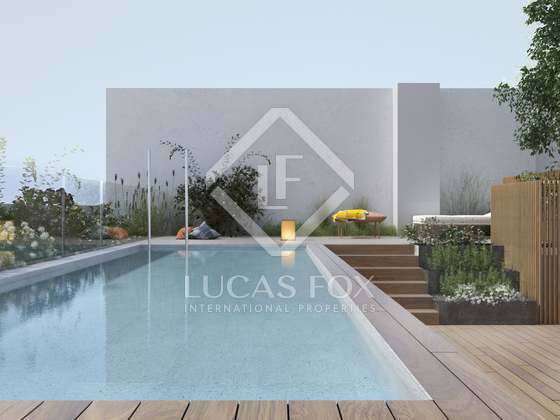 Minimalist 2-bedroom third floor apartment with modern interior design, communal pool and optional parking for sale in Les Corts, Barcelona. 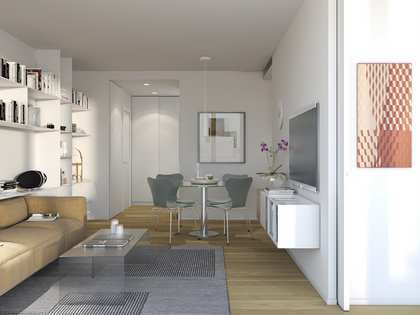 This new development in Barcelona's Les Corts neighbourhood is ideally located to enjoy all that this area of the city has to offer. 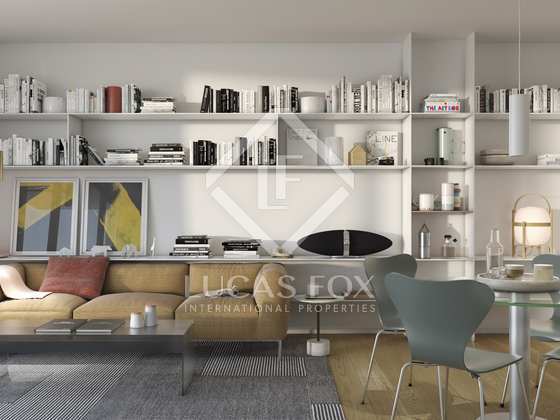 This third floor apartment has a living room – dining room, kitchen, 2 bedrooms and 1 complete bathroom. A minimalist home with quality finishes, the apartment has plenty of natural light thanks to floor-to-ceiling windows. 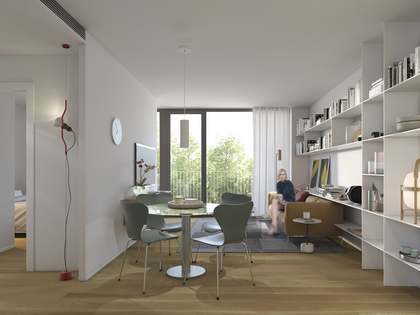 Furthermore, modern finishes and neutral colour schemes have been selected to create a contemporary, elegant home. The kitchen is equipped with Bosch appliances and there is abundant space for storage and food preparation.